The Diana Victorian Marble Fireplaces can be custom crafted to any size in marble natural stone. Diana Victorian large statues of women handcarved from stone. 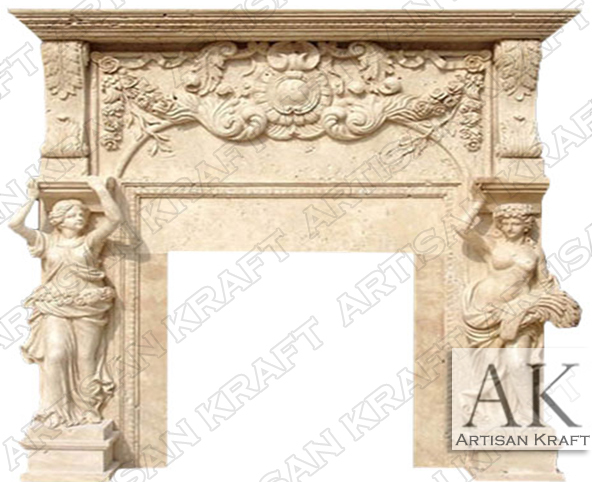 An exquisite surround mantel with sculptures. Above the sculptures are corbels and a very decorative design in the upper frieze.